Lee Herold, DVM, DACVECC, demonstrates how to perform a urinary deobstruction in a cat. Different types of urinary catheters, placement, securing the catheter, and placement radiographs are discussed. Great video :). Was this kitty not a candidate for a coccygeal block? I would love to see how you secure your closed urinary systems to compare with our protocol. What exactly was the cause of that bruising? Was it difficult to unblock him the last time? I too am very interested to see how you attach your closed collection system and also what is your recommended maintenance/care of such system . I am concerned that this kitty has not been intubated. Any cat in which a urinary deobstruction is being performed can be a candidate for a coccygeal block. A block was not performed in this patient because a physical luminal obstruction was unlikely to be encountered and the procedure was anticipated to be more of a urinary catheter placement procedure rather than a longer de-obstruction procedure requiring flushing. The perineal motor and sensory blockade from coccygeal block was thought to not be necessary for a urinary catheter placement procedure. As you can see in the video the catheter passed without resistance and the indwelling catheter was placed with ease. The bruising was from the initial unblocking attempts. The patient had a failed unblocking attempt with the primary care veterinarian, was recovered, referred for deobstruction on initial presentation to DoveLewis. Intubation with any injectable or inhalant anesthesia protocol is never wrong. Propofol titration in this patient was performed at a slow rate to achieve sedation rather than a surgical anesthetic plane. When combined with premedication, this is typically an effective plane of sedation to allow urinary catheter placement without significant respiratory depression. The level of propofol titration required to allow anesthetic induction, and intubation in this cat would be greater than that required for the short and minimally invasive procedure. 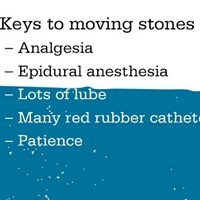 But this certainly brings up a interesting point of conversation...What anesthesia protocols do you all use for deobstruction procedures? Do you routinely intubate all your patients for these procedures or only those with increased risks based on signalment,clinical history or ASA status? Sorry I forgot to comment about the closed system attachment. I'll try to explain the method though at some point we might make a video or upload a photo. At DoveLewis all closed collection systems are secured in the same way whether they are attached to foley catheters in male or female dogs or slippery sam or red rubber catheters in cats with urethral obstruction. 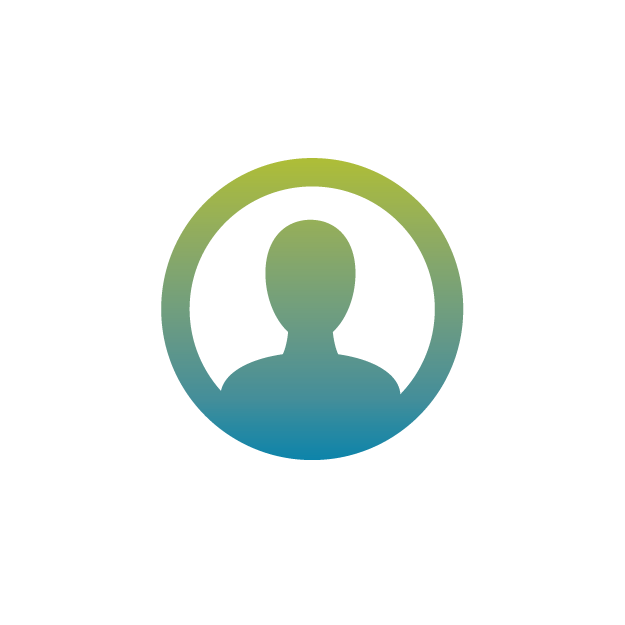 A single protocol allows nursing care and trouble shooting of problems with the system to be consistent. 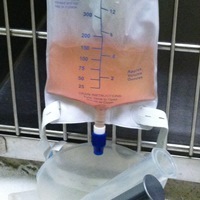 Our closed systems consist of macrodrip IV set connected to the urinary cath (you can add a standard IV extension set if you need more line), and then connected to a sterile urine collection bag. A stress loop or "U" is made in the portion of the macrodrip set in a position close to the urinary catheter but far enough from the penile/vaginal exit to allow the loop to be sutured to the lateral thigh without tension on the urinary catheter. Once your stress loop position is found, white tape is used to hold the macrodrip in that stress loop position. The white tape is then sutured to the skin of the lateral thigh with a couple of stay sutures. The exact location of the stress loop will depend on patient size, and type of catheter placed but simply we just want the loop and catheter positioned so that the pet doesn't get their hind legs caught up in the loop while sitting, rising or walking, and to hold the catheter in a position that it is less likely to kink. 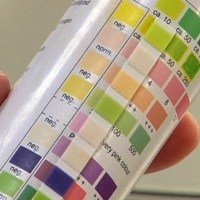 As for care- the closed system is emptied every 4hours or more frequently to monitor urine output. 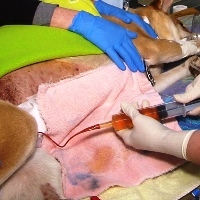 The system itself requires little care but our technicians will perform indwelling urinary catheter care at regular intervals- they will note the positioning and ensure there are no obvious abnormalities/kinks, they will clean the exposed portion of the urinary catheter (in dogs or in cats with red rubber catheters) with chlorhexidine solution.Regular flushing of the urinary catheter can be ordered by the DVM but is not routinely performed unless there is concern for urinary catheter patency, clogging with crystals or debris, or other patient specific reasons. Thank you Dr. Herold, that makes sense. I would really like to see a video of securing your urinary systems to the patient/u-cath. Our protocol is similar, we use a stress loop, but we secure the line to the tail with tape and currently do not suture to the leg. We also do not routinely intubate these cases, primarily for the same reasons you stated.